Want to increase your lead generation? Want to increase your business? Try changing the headline on your landing page. Headline changes have the power to provide a 10%+ lift while taking not even five whole seconds to change. There’s almost no better option, as headlines are one of the easiest elements of ads and landing pages to change and at the same time with impact. The headline is the first thing a visitor sees when he or she lands on the page. 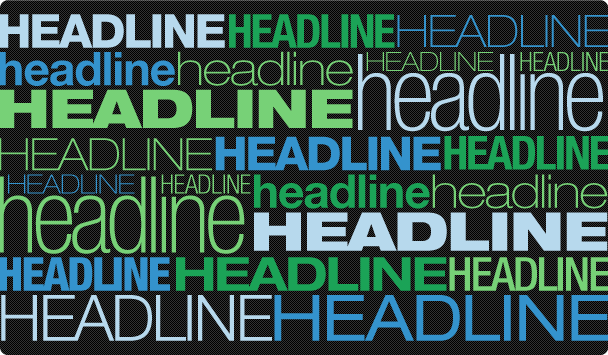 Make a great first impression with the headline and the visitor stays, make a bad one and they bounce. The best marketers are also sometimes the laziest because there’s no need to reinvent the wheel when your customers can do the work for you. Testimonials act as a risk-reversal, increasing the credibility of a claim being made by using an independent third party to introduce the value of your product or service. You can get testimonial information by interacting with the customers, uncovering what their daily goals or aspirations look like. But sometimes it’s difficult to interact with customers about their issues. They might be too sensitive or private. In such a case, use a headline which indirectly assesses your customer’s problems and presents it before them in the most cordial way possible. Some of the most popular words and phrases were analyzed that appeared over and again in some of the best performing headlines. You might expect “How To” or some list variation to be the most popular phrase. But they weren’t. Instead, the most popular phrase used in these viral headlines was: “This is”. That phrase hints or suggests at something to come. It teases, pulling back the curtain just enough to give you a sample yet stopping short of giving away the whole plot. Further, incorporating quantitative numbers like “less than 1 in 80,000” make headlines incredibly irresistible. Your widget exists to solve a problem. It could be a hard one, like saving a certain amount of money, or it could be a soft one, like making people feel better about them. 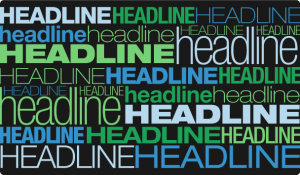 Either way, encapsulating those qualities or end results in a catchy landing page headline can deliver better results over a more generic one. This formula is called The Value Proposition because it offers something unique and highly desirable. The trick is to identify what your potential customers value the most and then capitalize on how you’re able to do it better & more uniquely than any other direct competitor. Another way to get the value proposition headlines to stick out from the rest is to ignore the positive benefits, instead of going straight to the negative ones. ‘How-to’ is one of the most popular phrases used in the most viral headlines over various landing pages. But despite the popularity of those two little magic words, you don’t have to take it too seriously. After all, the key ingredient of a ‘how-to’ headline is to show someone how to do something. Instead of just describing a static state, the variant ‘How-to’ landing page headlines promise to teach you something and make you better. The most successful advertisements tend to follow the same common themes or patterns. Instead of wasting hours and hours on a clever landing page headline that might miss the mark, just use one of these four tried-and-trued approaches to set yourself up for success.